Your puppy is rapidly developing his muscles, bones, cognitive abilities, and immune system and needs food that meets his nutritional requirements. That's why he should be fed a high-quality puppy food that will have the right balance of ingredients and nutritional density to aid his rapid growth. Your breeder may send you home with a supply of the food your puppy has been eating, or at the very least, advise you on what to feed him. If at all possible, stick to that food for at least two weeks; a change in diet can easily upset your dog's stomach. Dogs digest food differently than humans, and changes in diet can cause diarrhea and other digestive issues. Different foods may have different types of proteins, differences in the type and amount of fiber, and a change in the type of healthy bacteria your dog needs to digest his food. If you're going to switch to a different puppy food, you should do so gradually over five-to-seven days. For the first two or three days, mix a greater percentage of old food than new food, about three-quarters of the puppy food he now eats with one-quarter of his new food. Then give him equal portions of new and old food for two or three days. Follow that with three-quarters new food and one-quarter percent old food. After that, his digestive system should be ready to handle only the new food. Sometimes owners have to switch food abruptly, due to a recall or other unforeseen circumstances. Even in this situation, you can help your puppy adjust to a new diet. Try to find a food that closely matches the existing food in ingredients, types of protein, and amounts of fiber and fat. 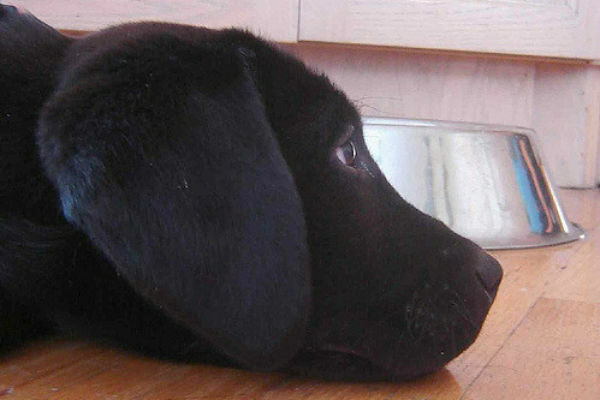 Give your puppy smaller meals, watching for diarrhea or other issues. If he does well with the first meal, continue to feed him smaller meals than usual and then gradually get back on your old feeding schedule. A little tummy upset is to be expected, but if he's vomiting, seems sick, or stops eating entirely, consult your veterinarian. Unlike humans, dogs don't crave variety in their diet. 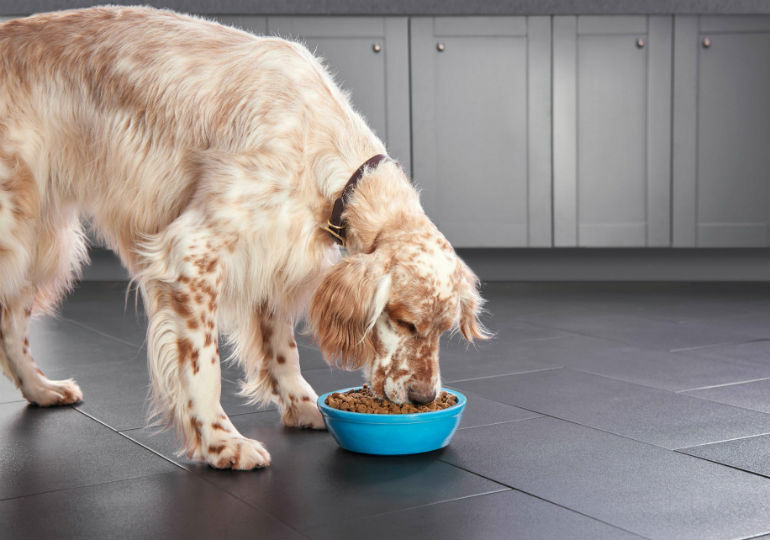 High-quality puppy food has all of the ingredients, in the right proportions, to meet their nutritional needs.